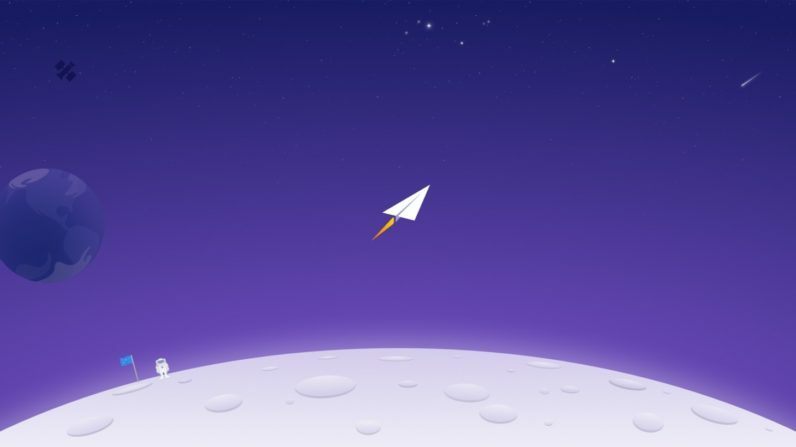 If you’ve ever thrown your arms up in despair over your email inbox Newton is the app for you. The company today released its popular email app on Windows, making it available for a large portion of the business world. This might look boring, but an empty inbox is the first step on the path to joy. It feels like Newton is trying to make me forget it’s there, and that’s a good thing. The app is easy to navigate thanks to the minimalist design, so you can find the most interesting features right away. The ability to snooze emails, for as long as you want, is an excellent feature for people who receive a lot. I’m also a huge fan of the sender profiles. Anyone who has to receive unsolicited emails will immediately benefit from this feature. Basically, clicking on the sender’s picture will open a card that has links to the sender’s LinkedIn and other relevant profiles. What makes it even more valuable is that you can turn the card over by clicking in the upper right corner and you get information on the company attached to the email account. The Windows version doesn’t have any extra bells and whistles over the iOS, Mac, or Android versions, though the sheer speed of it makes it feel native which is a plus over browser-based solutions. It’s not perfect though: the app is slower to grab emails from the server than a first-layer client. My Chrome browser gives me email notifications before the Newton app can (for my Gmail account). That’s what you would expect, but with all the talk of speed it’s important to distinguish that clicking around within the app is butter-smooth, but it interacts with servers in the same “kinda-slow” way as most Windows apps. If you’re in the market for another email app try it; Newton has a free trial and it’s quite literally the easiest email app I’ve ever set up. It was easier to sign up for than a new Gmail account. There’s no real reason not to give it a shot if you’re already frustrated with your current email app. Well, there’s one reason: a lack of customization. You can change your signature, and just about everything concerning the nature of sending and receiving emails, but I couldn’t for-the-life-of-me figure out how to change the way the app looks. That’s probably not a big deal for most, but I’ve got a ocean-wave background for my Gmail in Chrome, and I missed it while I was using Newton. If you’re somewhere between “I need more features than the app I use now” and “I’m a corporate email server power-user with custom folder-trees” I’d recommend giving Newton a shot on Windows. You’ll need to have the Windows 10 Anniversary Update or later if you want to check it out.